Fridays I like to look over my snapshots over the week and post some of my favorites. We had Spring Break this week and luckily the weather was PERFECT. On Monday we flew to Huntsville, Texas to eat at our favorite restaurant in town, Carbonero Rotisserie. This photo is of Lake Conroe, one of my favorite lakes in the area. Funny fact, the only natural large lake in Texas is Caddo Lake and it is basically a huge swamp full of poisonous and deadly things that try to bite or eat you. I have never been invited to write a Texas guidebook, and you probably can figure out why that is the case. Hee hee! 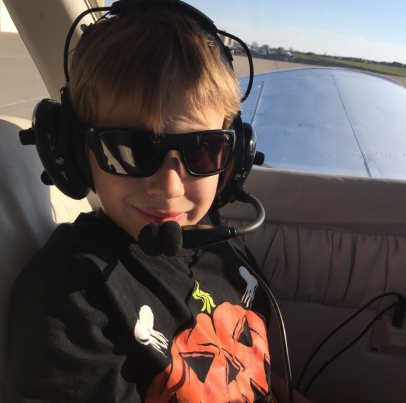 If you want to read more of our flying adventures check out my “CoffeeShop Family Flying Circus” posts. This post would have been posted in that series, but I didn’t take enough photos for it! 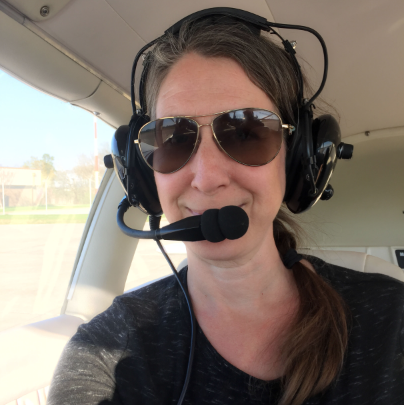 After such a dreary, rainy winter it was a pleasure to get back up in the air. I hadn’t been flying for months. Paul has been working on his IFR license, so he can fly with his instructor when the weather is not the best. But I had been grounded like a bird with a broken wing. Please stop reading for a minute and play some sad music with your tiny violin for me. Unfortunately I forgot to take photos of our delicious and beautiful dinner as I was too starved. My giant appetite and inability to control my munching before taking a photo has unfortunately kept me from being a popular food blogger. When we got back to the Gooney the boys had some fun running around while Mom was screaming at them to not get chopped up by plane props… I still have prop-PTS from watching Indiana Jones as a young person. Here I am in the back seat of the Gooney, not ready to go home. It is quite comfy here in my premium window seat. Every seat (all four of them) on the Gooney is “First Class”. I was served spring water (it was sitting on the floor and Imp handed it to me) and I had some lovely smoked almonds (a stale package found under my seat). And here is my partner-in-crime. Everything is beautiful from the air. It really was a perfect afternoon trip. Later on in the week we spent a few hours hiking at Kickerillo-Mischer Preserve. This is a fairly new park and it has a huge lake and some really nice trails. I had so much trouble remembering the name of this park until I started picturing myself kicking an armadillo and missing. Does that make me a bad person? This day we hiked along the drainage creek that runs into Cypress Creek. It is really so pretty here. I have the “White Noise” app on my phone and I made my own little repeating relaxation sound effect at this very spot. It is such a cool app, I love creating my own sound-machine recordings. Imp was trying to poke some fish. He also skipped some rocks. Typical boy/tomboy-stuff. I was waiting for him to fall in (his normal MO), but that darn kid knew I had my camera out so didn’t want to give me a good shot to post here! We also hiked around the drainage lake on the edge of the park close to the hospital. As you can see they have a real beaver problem. So many of the trees they planted are sad little stumps. This poor tree is almost gnawed in half. It was the perfect day to get outdoors and enjoy the warm, sunny day. CoffeeShop “Silver Light B&W” Lightroom Preset Set!